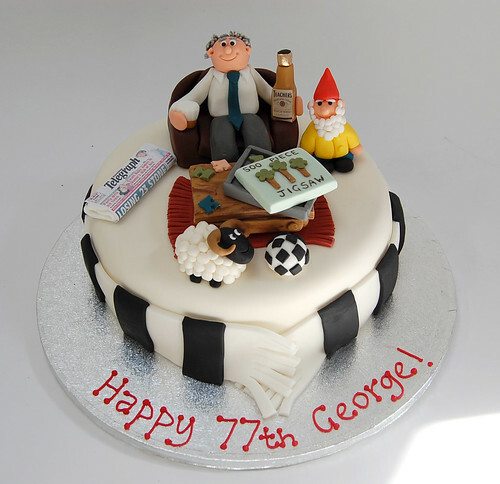 Special commission for a jigsaw, whisky, garden gnome and newspaper loving Derby County fan! Make someone’s day by giving them an extremely personal and thoughtful cake! The Hobbies Cake – from £80.